HeirChex Digital Servicing: Manafest "Throw It Away"
Throw It Away was inspired by the idea when the storms of life hit we can't give up, and throw away everything we've worked for. Even King Solomon said in Proverbs 24: 16 "even though a righteousness man falls down seven times he gets up and goes again." Manafest says "In the chorus I drive this home saying we need to "Pull ourselves together". I feel like we can make some heavy decisions based on emotions that have long lasting consequences. More often we need to stop, and breathe before we do something we will regret. The final message is whatever has happened it's in the past, move on, and live in the now. Plato said, “Be kind, for everyone you meet is fighting a harder battle.” International rock artist Manafest (real name: Chris Greenwood) knows the saying well; his uphill climb began at age five when his father committed suicide. Years of childhood insecurity and fear gave way to a promising skateboarding career, but then an injury took that away, too. Music soon filled the void, and it would prove to be a perfect fit. Putting words to driving rhythms gave Chris a way to be a visible light (“manifest”) for other people wrestling with their own junk: strained relationships, betrayals, loss, broken dreams. He knew plenty about getting through the past and working toward the future. “I’m always there to give you the don’t-give-up message,” he says in a quiet offstage voice that balances out his amped up live presence. Since 2001, Manafest has battled his way into the business—playing a thousand shows in nine countries, winning an armload of industry awards, and gaining recent victories like his first No. 1 hit, “Bring the Ruckus.” 2010’s The Chase blew up in Japan and the USA, quadrupling sales of previous efforts. Since the release of his fifth studio album, Fighter, Manafest has been around the world touring nonstop. In April, this album debuted in the Top 20 on the iTunes® Rock album chart at No. 16 and was the highest career debut for Manafest landing at No. 7 on the Billboard Heatseekers chart. Manafest spent weeks touring in Japan and China supporting the international release of Fighter where he debuted at No. 8 on the Japan iTunes chart. 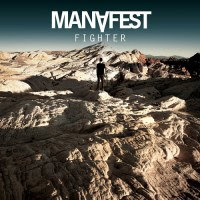 In addition to the radio and international success, Manafest’s newest venture is his book entitled “Fighter” “Five Keys to Conquering Fear and Reaching your dreams” which his fans fully funded. This past summer Manafest just finished playing at some major festivals and touring with Grammy Nominated & multi-platinum artists P.O.D & Flyleaf. He has a new album slated for release in early 2014 as well as his first Christmas song “California Christmas”.